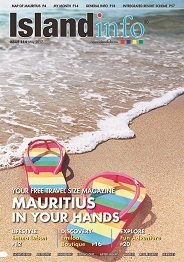 FUN ADVENTURE Mauritius suggests you discover blue pristine Mauritian lagoons on board your own seakart. The trained and skilled staff will initiate you before you induldge in brand new feelings of drifting in a dream like setting! You can opt for a half day or full day for the fun-famished ones ! Great sights, the thrills of navigating and swimming stops will be part of the ad-venture. The monitors will supervise you throughout the activity. FUN ADVENTURE is great for a family day out or amongst friends : You will feel out of this world ! Open since now 4 months, the Fun Adventure head office is found on the bank of the Balise River at Rivière Noire. Fun Adventure proposes a unique activity in the world : the seakart. The first 6 seakarts are found here in Mauritius ! What is a sea kart ? A semi-rigid boat which is 2m80 long and 2m wide and which can welcome upto 2 adults and 1 child. With its turbo engine and throttle linked to the steering wheel, the Seakart is a very stable boat which is very safe and impossible to sink ! Everything about the boat is user friendly for the passengers ! Thanks to the seakart, you will finally be able to be the captain of a boat and enjoy the pleasures of guiding it around the lagoon with or without a boat permit ! You will always be ac-companied by the security boat which leads the way by guiding the trajectory to take and the pace to follow. above. The seakart is ideal for those who are looking for some thrilling fun and those who wish to explore the la-goon on their own in a different and unique way which is perfectly safe as well ! Bénitiers, FUN ADVENTURE prom-ises a delightful day full of gorgeous natural Mauritian sights ! Sumptuous corals and fish under your feet, great scenery ahead of you is what you are hoping to experience ! of your pictures will help you unwind! You will carry these magnificent pictures and moments with you ! The FUN ADVENTURE team looks after the well being and the safety of its clients. They are awaiting your visit to live this unique experience in the world !